Your special day comes but once a year, so celebrate it by getting free birthday stuff. No, not talking about getting presents from your friends and family. 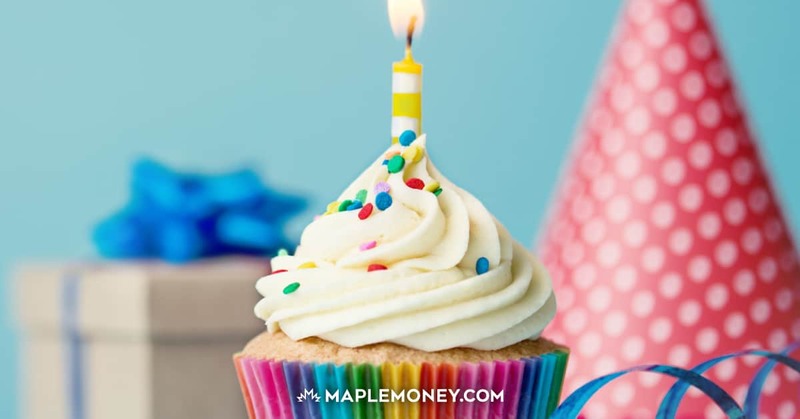 As much fun as it’s to open gifts, what’s even better is getting free birthday dinners, desserts and other goodies from Canadian businesses. So go wild and take advantage of these Canadian birthday freebies and nab yourself some free stuff. There’s enough of those, plus extremely steep discounts that’ll leave you wondering why your birthday can’t come more than once a year. Denny’s – Sign up for their loyalty program and you can get a free Grand Slam Breakfast when it’s your birthday. Swiss Chalet – If your child’s 10 and under, he or she can get a free birthday meal. As for adults, you can get a free dessert on yours. Tony Roma – Sign up for their email club and you’ll get a regular priced entree up to $15 for free. You’ll need to provide a valid I.D. IHOP – Get a free order of their regular pancakes or the Rooty Tooty Fresh ‘n Fruity pancakes if you sign up for their Pancake Revolution online. Like Tony Roma’s, you need to bring a valid I.D. Mandarin – Sign up as a member and the restaurant will give you a coupon that entitles you to a free birthday meal. You’ll need to bring along three or more adults with you though. When you go, you’ll need to provide I.D. You can use the coupon as long as it’s within a few days around your birthday. Cora’s – Subscribe to their newsletter and you can grab some free birthday stuff, as “Madame Cora” wants to wish you a happy birthday in her own way. Perkins – Subscribe to their newsletter and you’ll get a free meal on your birthday. If you have children 12 and under they also qualify. You also get 20% for all meals, no matter the date. Red Robin – Sign up for their loyalty program and get yourself a free burger during your birthday month. If you bring enough people, you get a free burger after you order 9 meals. Milestones – If you bring three people, you can get a birthday meal for free. You also get a free appetizer just for signing up. Joey’s – While they don’t specify exactly what you get (some are location-specific apparently), sign up for their Mariner’s Club newsletter and grab birthday-specific offers. Harveys – Get a free burger and side of onion rings/fries on your special day by signing up for their newsletter. Mary Brown’s – Yup, it’s another newsletter signup. Once you hand over the details, you get a free Big Mary, which is their signature chicken sandwich. East Side Mario’s – Sign up for their newsletter and you’re eligible to get a free birthday appetizer, and another one upon signup. Red Lobster – Sign up for their loyalty program to nab yourself a free slice of cake. You need to sign up at least seven days before your actual birthday to qualify. Montana’s – Sign up for their newsletter (their Grill Lovers Club) and get a free dessert on your birthday. You also get a free order of antojitos or spinach dip after you join. Kelsey’s – Get a free dessert on your birthday. You also get a free spinach dip by signing up for their newsletter and $10 off meals for your first wedding anniversary. Jack Astor’s – Join their loyalty program online and you can get a free birthday dessert. The Keg – You can get a free slice of Billy Miner pie if you head over to their website and sign up for their newsletter.  Olive Garden – Get either a free dessert or appetizer with your meal. Boston Pizza – Get a free dessert on your birthday and a free appetizer just for signing up to their email list. Marble Slab Creamery – You can nab yourself a free ice cream cone once you sign up for their marble mail newsletter. Make sure you sign a minimum of 48 hours before your birthday to get your coupon. Dairy Queen – Get a buy one blizzard get one free coupon once you sign up for their Blizzard Fan Club. You also get a coupon for your birthday. Menchie’s – Join their “mySmileage” loyalty club and get a $5 birthday credit, which is good to use within two weeks of your actual birthday. Quizno’s – Grab a free cookie when you present your printed coupon and purchase a sandwich. David’s Tea – Sign up for their Frequent Steeper loyalty program and get a free cup of tea. 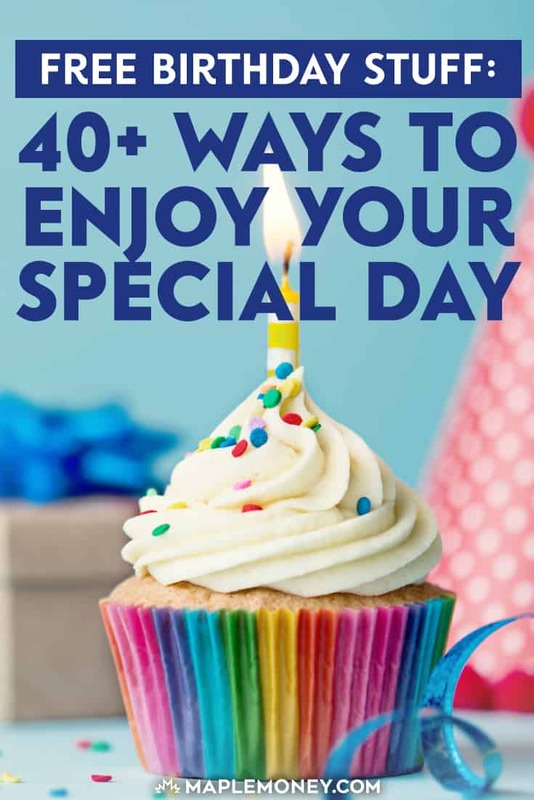 Starbucks – Register your Starbucks rewards card and get either a free drink or treat on your birthday. Booster Juice – Get a certificate for a free birthday smoothie. Scroll all the way to the bottom of the screen to sign up. Tilly Endurables – Head to their store in person and get a free pair of underwear and socks on your birthday. Home Outfitters – Sign up for their newsletter and get a free gift. In the past, it was a 10% discount off your entire purchase. American Eagle – Get a coupon for 15% off your purchase on your birthday. There are 40 items on this list. Go celebrate in style and get all the free stuff (and discounts) you can get. Oh, and Happy Birthday!